Dohatec New Media is located in Doha House in the Purana Paltan neighbourhood of Dhaka, this is only 100 metres from the zero point - the centre of the capital in Motijheel commercial district. 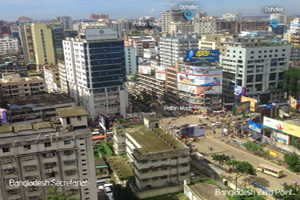 Dividing "Old Dhaka" and "New Dhaka", Paltan stands in the centre of town. Previously, part of Motijheel thana, the commercial capital of Dhaka, Paltan Thana was established in 2005 and made into a separate Thana (an administrative precint). The name Purana Paltan is derived from the English word for platoon, i.e. a group of soldiers, typically 11 for infrantry platoon. During the British era, Paltan was host to a regiment of troops and a major military shooting range was operated by the British East India Company. Another landmark in the area is the Paltan Maidan, i.e. 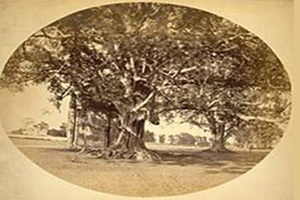 Paltan Grounds – it used to be a large clearing of empty fields with sections of large banyan trees during the British era into the early 20th century. This separated Old Dhaka from the then burgeoning new Dhaka. In years following the end of colonial rule, Paltan Maidan has been host to historic rallies and gatherings that have shaped modern Bangladesh. The entire area was given over to the local municipality after British rule and has developed into a prominent commercial and residential part of Dhaka, with a number of established businesses operating in the area. Dhaka’s history traces back to the Buddhist Pala Empire and the Hindu Sena dynasty that followed with early urban settlements dating back to the 1st century. During the Delhi and Bengal Sultanates, current Dhaka was administered under the Sonargaon province. Dhaka was along the silk road that connected Sonargaon to Delhi to the west and the ports of Chittagong to the south. During the Mughal era, the old city of Dhaka developed along the banks of the Buriganga River, becoming the capital of Mughal Bengal in 1608. 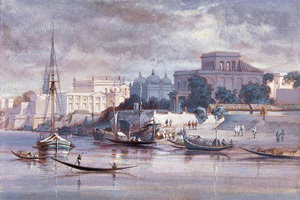 Under the stewardship of Shaista Khan, the Subahdar of Bengal under Mughal Emperors Jahangir and Aurangzeb, Dhaka expanded to an area of 19 by 13 kilometres with a population nearing 1 million. Many public works were taken on, and trade and economic activity multiplied. 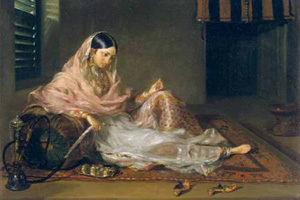 It became the centre of trade of high quality muslin cloth, a finely weaved cotton fabric, attracting merchants from across South Asia, the Middle East, the Mediterranean and Western Europe who established their own quarters – Farashganj (French), Armanitola (Armenian) and Portogola (Portuguese). Following the British East India Company taking control of Mughal India in 1793, the modern city areas of Dhaka were further populated and developed. From 1906 to 1911 the city was the capital of Eastern Bengal and Assam. In the early 20th century the University of Dhaka was established, and wide scale electricity distribution began. Post Partition of British India, the city became the capital of East Pakistan in 1947. After independence and months of war, in 1971, Dhaka became the capital of Bangladesh, and today is one of five megacities in South Asia.